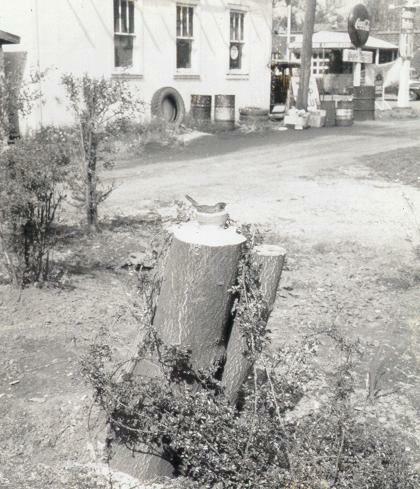 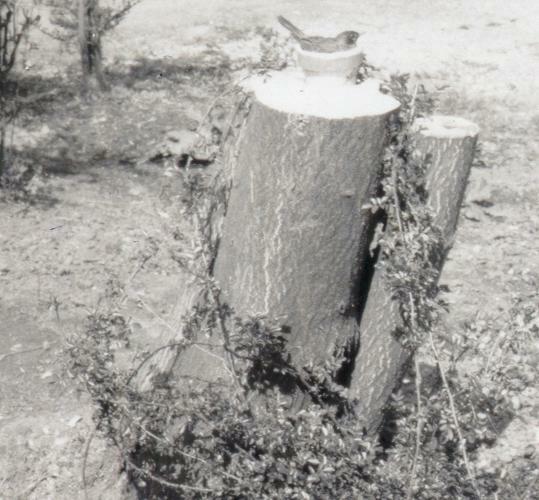 1950s era photo shows a bird that has made a nest on a stump.In the background you can see the old Standard Oil Gas Station,note the big Coca Cola Sign.In the background you can see the Van Motor Sales building. . .